Plunged into the middle of a jungle foodweb, only visions, plant narcotics, hunting skills and an incredible intimacy with the natural world sustain Cordova-Rios. In no other book have I felt the mixing of human and animal and dream worlds to be so clear and direct. "I wrote the above paragraph in 1972 after reading the hardback. On re-reading the paper edition, I can only say that this book is far superior to anything Castaneda has attempted. The Huni-Kui is not a destroyed tribe like the Yaqui. The Huni Kui have pleasant and important communal visions much more astounding and connected-to-life than the individualistic "fearful" visions of Castaneda. To complete the praise : This is one of the three of the four best books I have ever encountered." 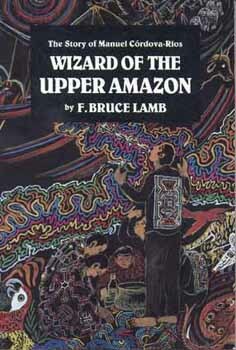 "Wizard of the Upper Amazon is an extraordinary document of life among a tribe of South American Indians at the beginning of the century . . . In a matter-of-fact tone Cordova tells how he learned the lore of the forest and the Amahuaca directly from the visions that followed upon drinking the ayahuasca extract. He also describes vividly his repeated experiences of shared consciousness with his captors: group vision sessions in which all participants see the same visions simultaneously."